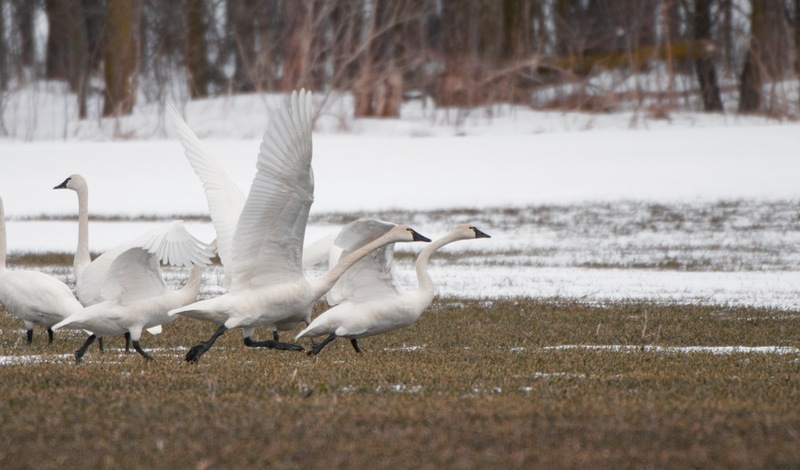 If you live along the lakeshore, particularly in South Huron or Bluewater in Huron County, you’re familiar with the distinct whistling of the Tundra Swan as they migrate back north to their summer home in the Canadian arctic. They winter along the Altantic Coast from Maryland to South Carolina. 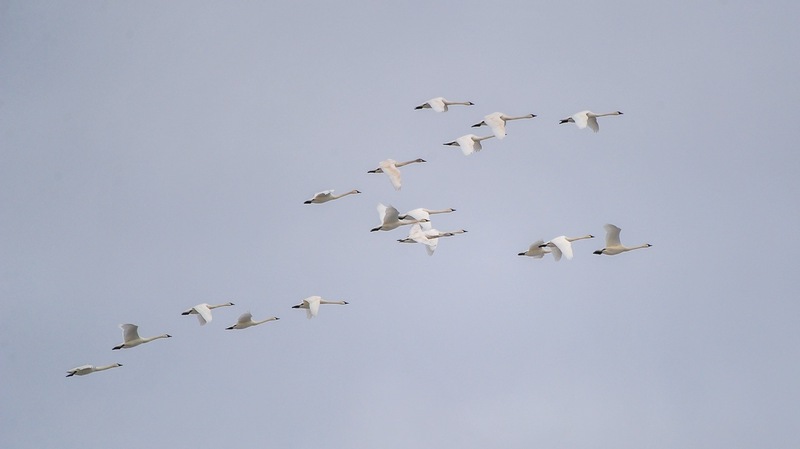 These magnificent birds are also called the “whistling swan,” not because of its voice but due to the sound made by the slow, powerful beating of the bird’s wings in flight. They grow quickly and may weigh 28 times their birth weight by the time it reaches 70 days old. They usually form in pairs and “go steady” for a year before breeding. ← Good, Fresh Food at a Great Price!